One of the many headaches brought on by having a kid is the sudden profusion of stuff. The little ones grow out of everything, from their toys to their clothes to their furniture. That’s hardly great for the environment, let alone the mental state of any parent that hates clutter and waste. 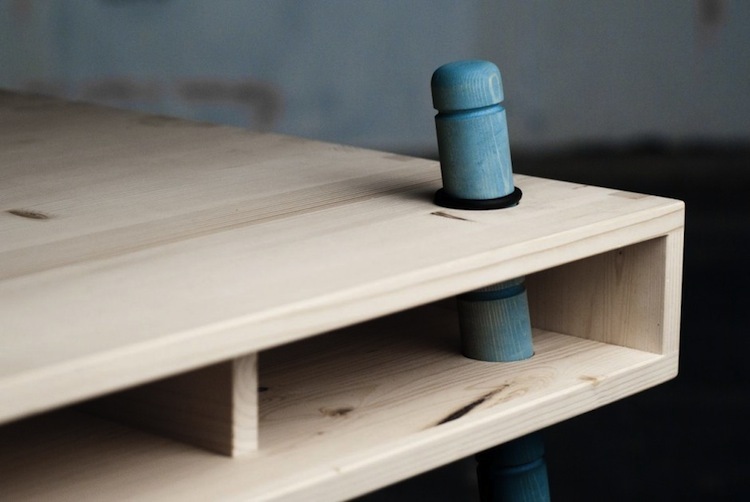 Which is what makes the Caspar children’s table, by Austrian furniture-maker Perludi, brilliant. Using a dead-simple design the table grows with the kids. Lengthening the legs is simply a matter of adjusting the rubber gaskets at the ends. And because all the legs can be independently adjusted, it’s easy to fit them to an uneven floor, or even create an ergonomic tilt for a drawing table. Perludi, eager to keep the carbon footprint down, manufactures the tables from locally grown spruce. And when the kids are done with it, it can be used as a low-slung bench with storage. Check out more pics at The Contemporist. And check out Perludi’s many “great designs for small people” here.